Power Source: 3x 1.5V AAA batteries, Not Included. Excellent Deal for Superior Quality! Take BYBLIGHT Handy Flashlights Home and Never Get Caught In The Dark Again! 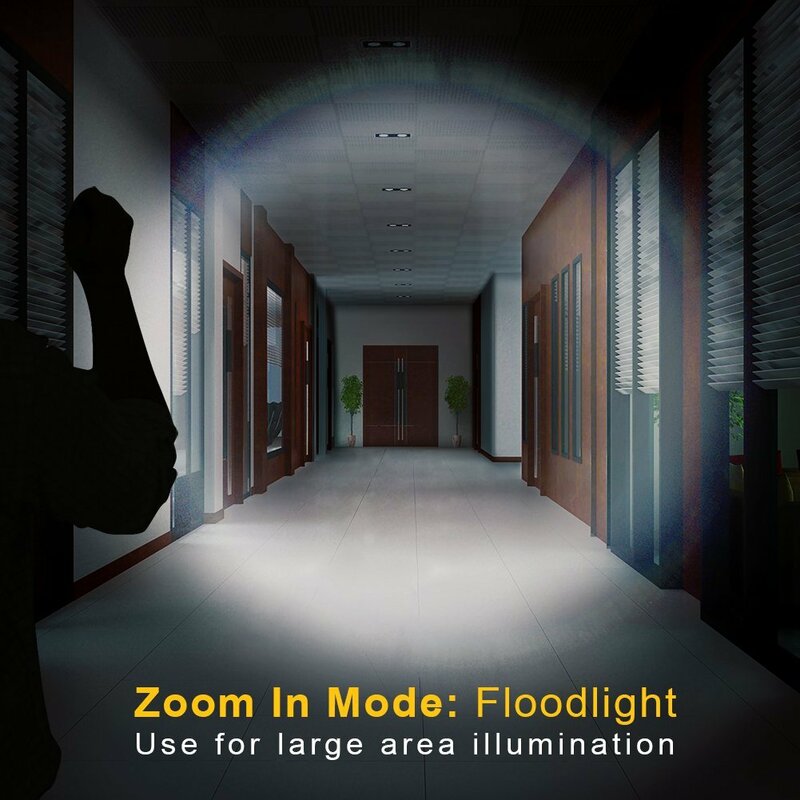 Compact, Durable and Easy to Use, they are the ideal illumination for use around the house or in an emergency. Keep one in your bedside table, one in your closet, one in survival kit and one in the car for security and peace of mind. 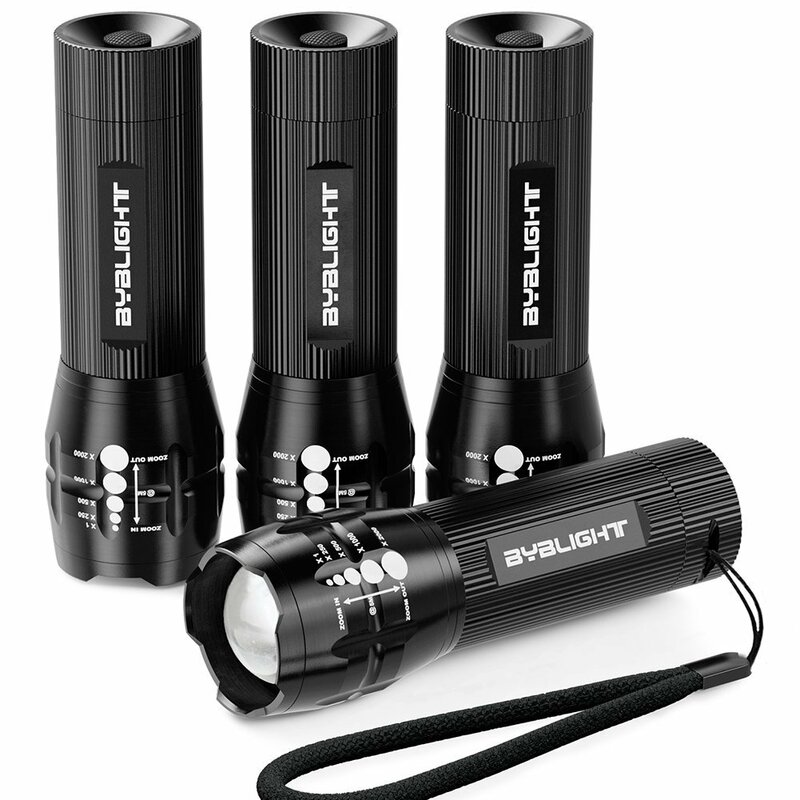 Indoor and outdoors, your BYBLIGHT Flashlights are ready to light the way! Here at BYBLIGHT, Specialized Manufacturer and Brand, we're working towards Bringing YOU the Good Value Products on the Market. Our Vision is to BRING YOUR BRIGHTNESS in dark. Mine won't turn on--put 3 new batteries in --2 batteries up, one down, etc. just as the container suggests. Any tricks? There are no tricks unfortunately. The ones you do get to work, be careful of losing the front part of flashlight. Due to being able to move front piece to adjust light, the rim has a thin screw on that holds the lens on flashlight. These come undone very easily. about how long do the batteries last...a full year? Stupid question - where do you inert batteries? The base ( the end opposite of the light end) unscrews. Once you unscrew the base, there is a plastic frame that you withdraw and the three batteries insert into the sides of that. Be sure you put the batteries in correctly, Look for an arrow in the side of this frame for batteries, and be sure you insert the frame with the three batteries inserted back into the flashlight body. The arrow indicates which end of the frame to insert back into the flashlight body. and then screw the end cap back on. 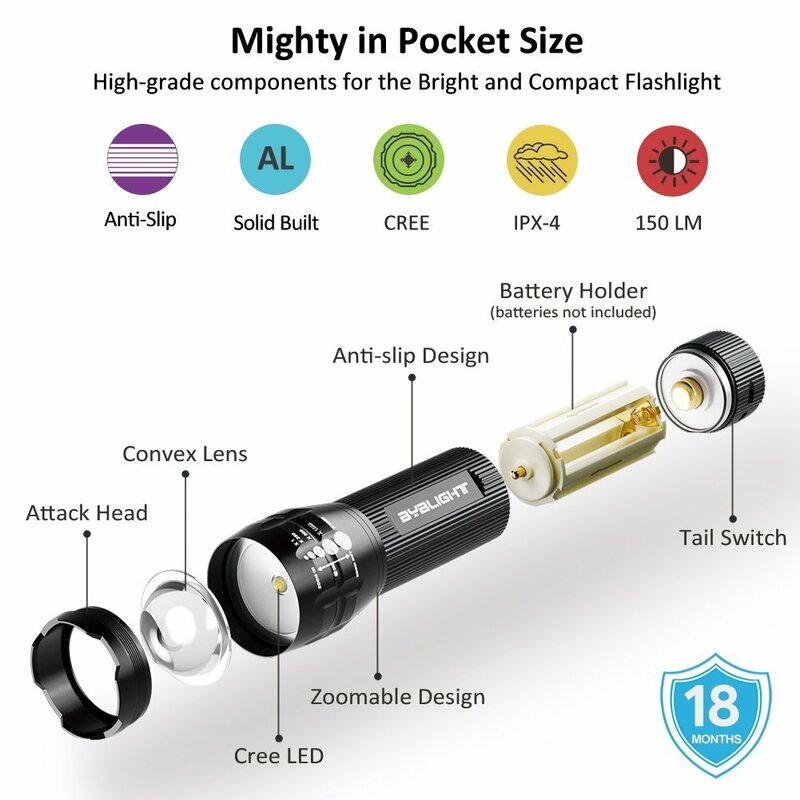 If the flashlight does not come on when you click the end button, it means that one or more of the batteries is not inserted correctly, Hope this helps! Do you have to cycle through the strobe to just use high? 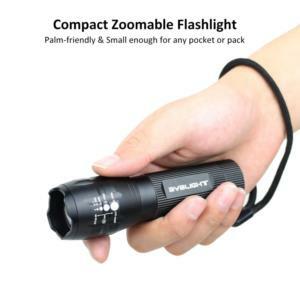 I haven't found a way to avoid that inconvenient strobe so when I have finished using the flashlight I set it on strobe so that the next time I turn it on it is on high beam. I have only used these lights a week or so, but so far they are great! I did have one small issue when they first arrived, but it was an easy fix. They come with these handy little straps you put on yourself. There is a small hole to slide the string through, but the metal wasn't removed all the way, so the string couldn't slide in. I just took a paper clip and used an end to shove the metal all the way through and the strap went right in. 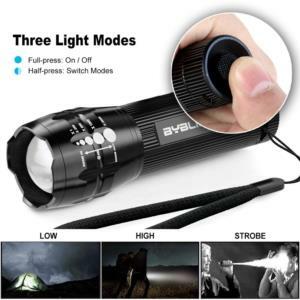 Love these flashlights ... several years ago bought the 9 LED flashlight packs from local bigbox store, they were new then, and I found them quite convenient and useful ... but a couple have died since and the build quality was not great ... BUT, it was proof of concept for me. So, I liked the idea. Found these on Amazon, good reviews, got 'em, 3 AAA batteries each need to be installed (not included, so get some). These are like the new starship Enterprise compared to the ones I got a ways back ... the build quality is wildly better, the zoom ability, brightness, and min/max/strobe selection via the rear on/off switch is unreal for such a small flashlight, SERIOUSLY. I just threw my old 2 D cell flashlight with standard crap bulb in the recyle bin ... it's USELESS compared to these. 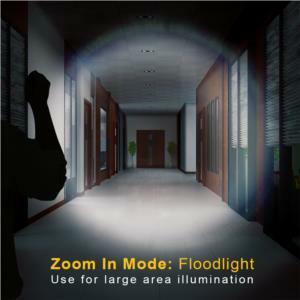 I have a couple full-size LED flashlights with the more modern single LED refractor and zoom lens and they are awesome, was hoping these would be better in the small form factor (for car, closet, safes, workshop) and boy, they really are. Amazons price for 4 is great ... if you're looking for small handy useful flashlights to stow where-ever, these are great. Only one suggestion: It'd be great if they would add a magnet to these so you could stick 'em on a metal surface (like a safe), then they'd be PERFECT. I'm very happy with these. 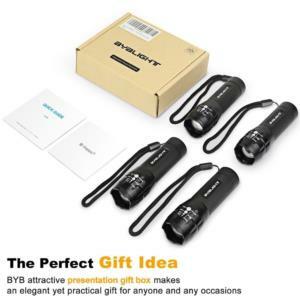 Original review:I received this set of 4 flashlights last week and loaded them up right away with some fresh Duracell batteries. The first flashlight did not work. So I tried a second. Ditto. I tried a third. Same story. I actually checked the voltage on the batteries to make sure they were OK. They were. So I wrote to Amazon and to the vendor. I received a note from the vendor telling me that there was a sizing problem with some AAA batteries (especially Duracell), advising me to try another type of battery or to clip away some plastic from the battery holder at the positive terminal (very tricky, since it is a tight spot). I tried another brand of batteries (Diehard). They worked. But I will have to remember the next time that I replace the batteries that these flashlights are finicky about which batteries you use. The vendor claims this has been corrected in recent designs, but this was a brand new flashlight set. Also, there were no directions. I found out how to switch modes by reading the reviews, not from the vendor instructions. So I think this is a poorly designed and documented flashlight. 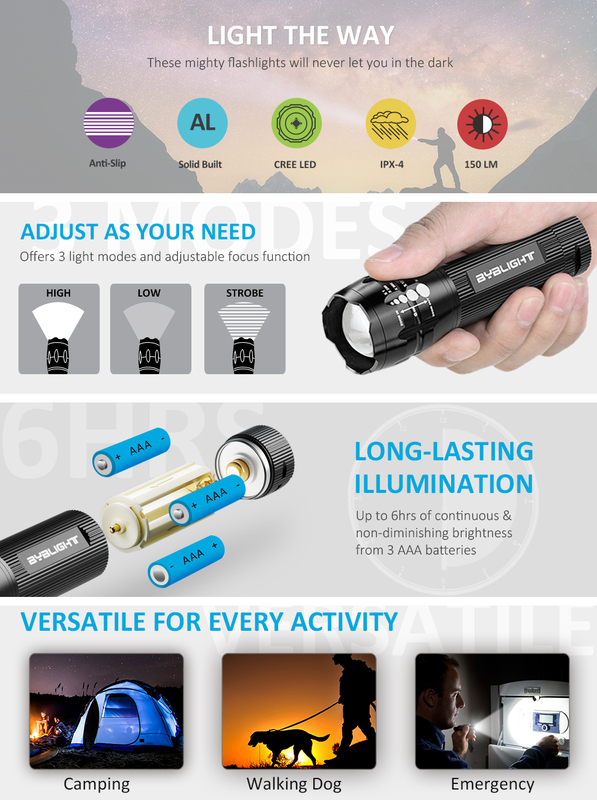 But, after resolving these issues, this does seem to be a good flashlight, with a powerful beam in the high setting. Just be careful about mixing and matching batteries. Update: The vendor responded to my review by sending me a set of 4 new flashlights with a different battery holder. Not all of the flashlights worked (3 out of 4 did) and the battery holders from the new flashlights do not work in the original ones, but it seems like the vendor does stand by the product. They were very responsive. They want to keep the customer happy. The original battery holder was cream white; the updated ones (which work with Duracell, Diehard, and Walgreen batteries - I tried all the different brands I had in the house) are black. 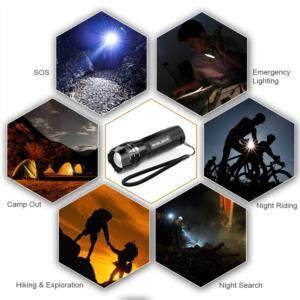 For what it is worth, I think these are very good flashlights. I've used them several times. They are very bright on the high setting and, by pulling the head out, it is easy to focus a fairly intense light in a small area. I used one to locate some small parts in my auto trunk the other night, and it was very convenient. Very good to keep around the house and car. 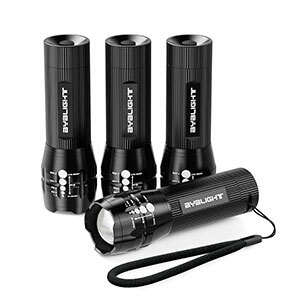 We purchased these flashlights because we were having a sleepover for my son and nephews and wanted them for flashlight tag. These were cheaper than most single flashlights I found at the store. They were a pack of 4 and since they were so cheap I honestly didn't have much expectations ... Just wanted them for a bunch of boys for flashlight tag. But these definitely surpassed expectations ... Really bright and lots of options (even strobe light!!) ... Tons of fun and now great for in the house use. I was very pleased with this product for the price. Each takes 3 AAA batteries that are loaded into a round cartridge that is inserted into the flashlight. I like the fact that it has both a continuous and flashing light beam by pushing the bottom button twice. 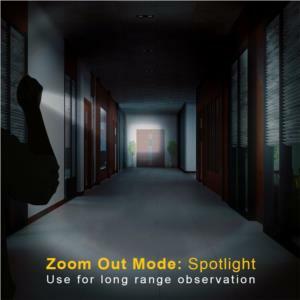 Also, you can extend or retract the head to adjust the width and intensity of the beam of light, helpful for doing close up work or for distance. Even though they are small, (about 4 1/4 inches), they provide a good light source. I plan to purchase another set just to keep one in each bedroom in the event of power outages. The ones I purchased went into each of our cars, along with extra batteries just in the event of any emergency.